Orangepixel's Space Grunts is a roguelike turn-based action game focused on strategy and tactics. The game places you on a decaying space station where you keep lasering space creatures and blowing up stuff, all while using your strategy skills to survive. 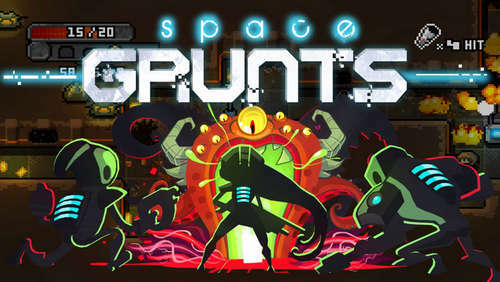 Space Grunts has three character classes, three basic weapons, no XP to gain or coin to collect and spend. Weapons include a handgun, plasma/railgun, and grenades. You also have powerups and special attacks.. Despite all its action elements though, SG is a roguelike tactical game at its roots. - There are various ways to complete the game, anomalies leading to weird places, underground routes,and much more.